Our long-term goal for our Band program is to offer instruction on four levels, Beginner through Elite. 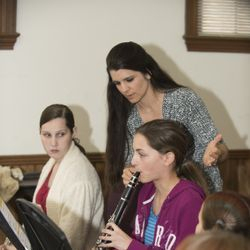 We begin with students who may not know how to read music or assemble their instrument and help them progress to playing more complex and difficult music. All music types are explored: swing, modern, traditional, hymns, praise, marches, sacred, and so much more, and we offer opportunities for students to perform. Beginner Band is for students with little or no musical training on an instrument. 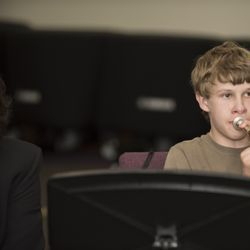 To participate in Beginner Band, students must be at least 9 years old and attend an Instrument Fitting. The Instrument Fitting is a time for your child to see the different instruments under the direction of trained personnel. With the information gathered at this time, we are better able to determine what instrument your child would enjoy playing based on their aptitude, abilities, and desire. If you already have an instrument, please bring it to the fitting. Every effort is made to ensure your child’s success and enjoyment. 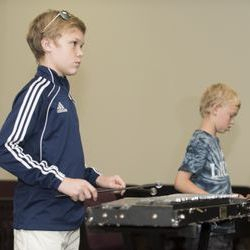 Note: Beginner Band Percussion students must have at least 1 year experience on piano/keyboard or another band instrument within the past two years. Audition is required for percussion. Please audition for percussion! Required Materials: instrument, music stand, pencil, and Essential Elements - Book 1. The Intermediate Band is available for those students who have played at least one year on an instrument. Audition is required for all new students seeking to be enrolled in this band. All auditions are scheduled during the Instrument Fitting. Please be on time. Required Materials: instrument, music stand, pencil, and Essential Elements – Book 2. This class is for Intermediate Band students and higher. Bandtastic is an outside opportunity to further your playing ability.